To many Bach, Beethoven and Mozart IS new music. We can’t abandon the classics that got us here in the first place! I hear and read the same justification over and over: people are tired of the warhorses, they want something fresh and exciting, we need to show our community that we are pushing boundaries and becoming hip and world class. Let me break it down; these composers are the horses that we rode in on, well played Bach, Beethoven and Mozart is fresh and exciting ALWAYS, and the only thing tired is the attitude that everyone is over them by performing these great works as if you don’t care. Finally, what boundaries need to be pushed? You live in YOUR town, this notion that it’s the mission to become the best regional orchestra in America is a fools errand. Who’s the judge and if you in Greenwich CT make your orchestra better than the one in Midland-Odessa TX, sorry but no one from there is dropping their subscription and spending thousands of dollars to travel to you. They would sooner travel to Dallas /Fort Worth for the superior Tex-Mex not to mention their world class orchestras! 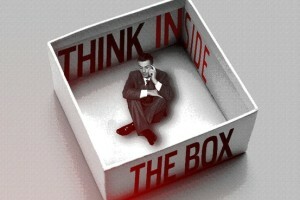 About the most used and useless phrase is that Orchestras need to Think outside the box!. It’s not creative to do this, most of the time it’s a cop out as if to say, well playing those concerts with Beethoven and Mozart, well we tried that, doesn’t work…which is rubbish. The challenge is to bring people to us, not to abandon those we have and go to some amorphous, nondescript new audience that we pretend we know. Free Beer, Dj’s in the Lobby, we only play music that is hip, cool, unplayable by composers no one has ever heard of! That is just throwing spaghetti against the wall….expensive spaghetti at that and it doesn’t stick because we don’t know how to cook it. Now I’m not against new music or innovative concerts and venues, but it has to be done in context so that it can literally hook everyone and the core of what we do still has to be front and center. The challenge is to present what we do best in a way that makes our box bigger so we draw people in. We all laugh at Pyr Gynt and his recklessness (speaking of warhorses), but that’s who we become when we abandon our core audience in favor of the one eyed monsters that end up chasing us out of the cool mountain cave we play concerts in now because we market in such a way that we sell them a bill of goods! Classical music is full of gratuitous violence, death, disease, despair, opium filled hazes, love affairs, mythical beasts, space travel, political protests, trips to heaven, hell, up mountains, through time…It’s all there at our disposal, METAL has nothing on us! The great works are not just timeless, they are also “timeful” in that they are relevant today. Climate Change is big right now so what a great context to present Rite of Spring, Pastorale Symphony, Song of the Earth, 4 Seasons, Alpine Symphony etc.. This summer with the Lake Placid Sinfonietta (97th season! ), one of the concerts is called Dedications. The program is Elgar: Serenade for Strings, Beethoven; Symphony No. 2 and Chopin: Piano Concerto No. 2. Nothing earth shattering about this program at all, except that the threads that will tie the pieces together are the fascinating people each of these works are dedicated to and why (the Chopin was inspired by an unrequited love, who only found out years later, but dedicated to a requited love). That is the context and the works will be set up with the stories that shed a different light upon them which hopefully means that the audience will listen with new ears. It’s like shooting photographs with a wide angle lens so that much more can be captured. Some of the mystery will come out because it will be about why these works were written, and that is always fascinating. It’s time to get back up on the warhorse, we need to market ourselves to become the destination not the journey, so that one day we can say…we’re going to need a bigger box! Up next: Part 4 – We are Pop(s) Stars and who is Leroy Anderson anyway? Thanks Ron! I believe the answer to most dilemmas is simply the word BOTH. We need thinking and actions that honor both sides of each coin. In my own aud-dev work, like yours, I’m making sure the context for the classical tradition in the hall is set in ways for most newcomers in bars/restaurants; personally, bodily (rhythmically), spiritually and historically. Bringing up Beethoven’s Pastorale (which, being in the public domain, literally belongs to the whole world), I’m reminded of the context reset with it in the apocalyptic movie Soylent Green. (1.) What I don`t see, at any symphony concert: (a) improvisation. A PhD violist bowed one of my orchestrations and informed me his tutors never talked about this subject. (b) Rhythmic Grooves of the World. The Percussion set-up you have, rooted in a battlefield of a couple of centuries past, is, to my ears: stale. (2.) What I don`t see at jazz concerts: (1). The SOUND of a string section. And all of that cultivation: i.e. Milstein and so on. (2) Players who have been trained in the Ionian-thirdsy system, apparently unaware as to what happened in Manhattan post-WWII, tonality-wise. I never cease paying attention to the Warhorses, don`t worry. But don`t put me in jail with your comments, please. I could indeed explain to you which boundaries need to be pushed. re: `The People` as you quote them: Their instincts are not in error in expressing yearnings for fresh viewpoints. You should listen to them, your paying customers, instead of trying to force your short-a-brick viewpoints down their throats. Too long of a discussion for here etc. !! Thank You. The problem is “the people” are not expressing that, there is just an assumption made that if audiences are down, then it’s just that they want something new and then they and their hipster friends will come stampeding back. This not true and proven to be not true by the countless attempts at cool, cutting edge concert series which nearly 100% of the time fail. What we do needs to be refreshed, re-invigorated and even re-imagined, and not just presented in the same ho hum way we always have. The music is not the problem, WE are the problem. Love the Ionian-thirdsy system reference!